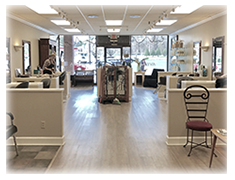 Welcome to Panache Hair Studio, an Atlanta hair salon located in the heart of Morningside, Virginia Highlands and North Druid Hills, with Emory neighborhoods right behind us. Our talented hair stylists are experienced with haircuts for women and men, professional hair color, highlightsand perms. We cater to a diverse clientele, from young and cutting edge to the boardroom professional. We always strive to match your hair to your lifestyle. It is important to us that your visit to our salon is an experience that you will enjoy and tell others about. 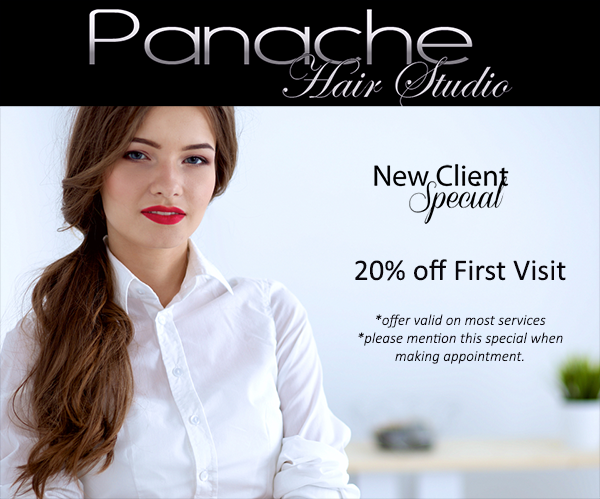 At Panache, all clients receive the individual attention they deserve. They work with one stylist from beginning to end. We feel this ensures that the end result is what you and your hair stylist decided on in your personal consultation and that you are happy with your new style. Our experienced Atlanta hair stylists are hair color specialists who receive advanced training to stay on top of the latest color trends and techniques. 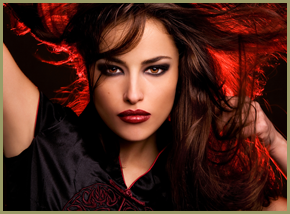 All color applications are custom formulated with Redken or European Artego hair color. 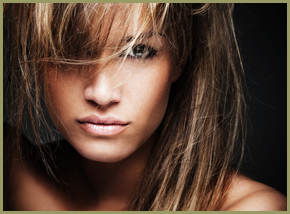 We want your hair color to accent your best features leave your hair feeling great. Book an appointment with one of the talented stylists at our Atlanta hair salon and treat yourself to a great hair day! Our hair salon in Atlanta GA features Redken, Pureology Haircare and Styling products. Ask about our color touchup specials! The stylists at our Atlanta hair salon are specialists in all facets of hair color, from the trendy balayage and ombre color techniques to custom hair color designed specifically just for you! Make an appointment for a gorgeous new hair color today. At Panache Hair Studio in Atlanta, we love curls! Whether you have corkscrew curls, or wavy locks, our stylists have the expertise and knowledge to bring out the best in your curls. Our salon offers a wealth of professional styling and we will be happy to share our hair care tips that will help you manage your curls and keep them healthy and beautiful year round. Want to know the most popular hair style and hair color trends for 2016? Find out now! We can create the perfect haircut & style to compliment your image. From classic and timeless to trendy and cutting edge, we can create any style that you can envision. Our salon team is trained to serve your every need and expertly care for your hair. At Panache Hair Studio in Atlanta, we are proud to offer a wonderful array of professional salon products to our guests. Visit the Tips page on our website to learn professional styling tips from our salon in Atlanta for your individual hair type as well as tips for preserving your hair color and maintaining the health and beauty of your hair. Call and book your appointment at Panache Hair Studio. We want the opportunity to meet you and make you look your best.